This past February in my hometown Madison, WI, outside air temperature rose from -28 F during a polar vortex event to +47 F in only 48 hours. The rapid rise in temperature threatened regional flooding in late winter, a few weeks ahead of typical annual spring floods in the Midwest. 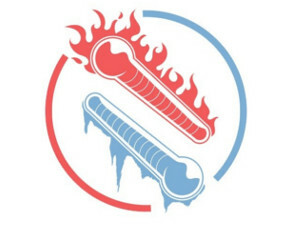 Of course, our statistician could suffer permanent damage in both hands after just a short exposure to ice and an even shorter exposure to fire; even with the average about right, the differences in temperature—the variation—puts the statistician’s hands at risk. Introductory classes in statistical theory and methods rightly emphasize that reasoning about averages is ill-informed without understanding relevant variation in the numbers that comprise those averages. Systems in nature, including physical and software systems designed by humans, operate only within certain ranges of conditions. If variation in operating conditions exceeds the relevant ranges, systems break. Typically, the capacity to repair or recover also degrades in the face of extreme variation. Average conditions are just a starting point to understand system performance. In Madison in February, people wondered about a link between the 75-degree temperature jump and climate change. A climate professor interviewed on public radio reminded listeners of the difference between transient weather events and climate; he noted large temperature swings have occurred over the past 175 years of written weather records in Madison. However, more frequent extreme events are expected as higher average temperatures drive more moisture and energy into the atmosphere. Extreme variation in weather events will cause damage when the events exceed the resilience of buildings, roads, water systems to perform as intended and expected. When our brains anchor on an apparently modest predicted increase in average temperatures over the next few decades, we should remember our joke statistician: it’s the variation that will drive harm and injury.